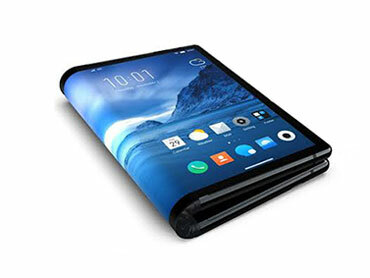 It is no longer news that Samsung has been working on foldable device that has been tagged the Samsung Galaxy Fold, and no doubt this will be a revolutionary device. Although Samsung is not the first to work on foldable device but one thing we believe is that Samsung will eventually become the first manufacturer to launch a well-defined and more organised foldable device. With a latest tweet on Twitter, Samsung tweeted “The future of mobile will unfold on February 20, 2019” and with the Samsung unpacked event slated for the 20th day of February, you might not need a prophet again to tell you that the Samsung Galaxy Fold device will be unveiled on the 20th of this month. Although, the concept and features of Samsung Galaxy Fold is still shrouded, we only have a clear hint that it will be a dual screen device and that should be expected, owing to the mare fact that it will take different sizes as to when fully open and when folded. It is also clear that Samsung will not be launching the Galaxy Fold device only on that day as we also expect the Samsung Galaxy S10 to be debut alongside. With very high expectation placed on the upcoming Galaxy Fold and S10 devices, we are also highly positive that Samsung will not disappoint as the Korean giant remains the world largest manufacturer mobile phone.